Woodworking job requires a perfect combination of imagination and skills. And, your woodworking skill will surely depend on your understanding and capacity of using different tools. Any masterful job requires the use of many tools. As you pass auspicious time on carpentry job, be it your hobby or your career, you will learn about many new tools. 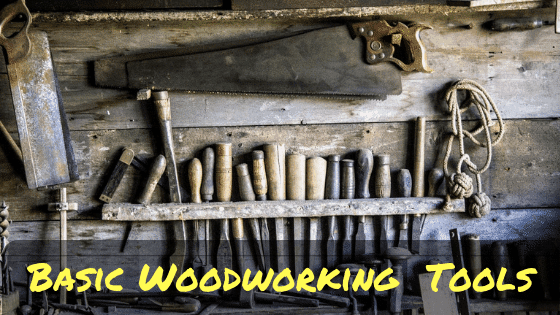 Stills every new entrant in the carpentry arena need to know about some necessary/essential woodworking tools. Unless you know using those tools, your daily experience of carpentry will be horrible. 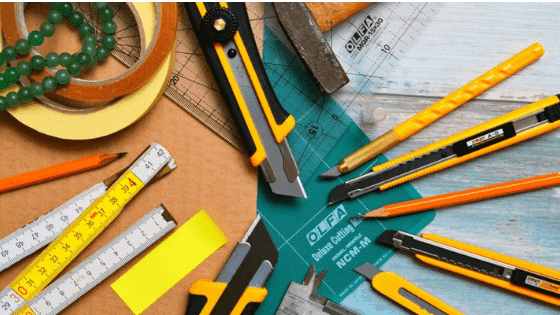 Here, we’ll be discussing the necessary tools list, both woodworking hand and power tools that every carpenter should master to use. 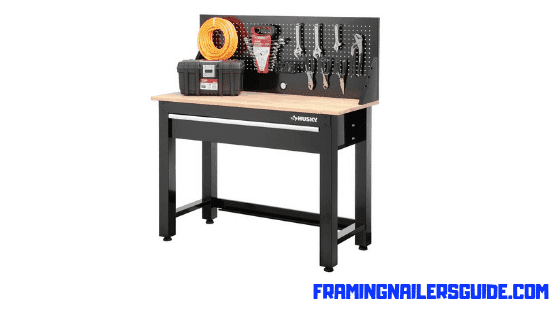 A perfect workbench is a very primary requirement for carpentry, though most people ought to forget it while making a tools list. This is mostly because a bench doesn’t seem like a traditional tool. Leave aside your confusion; manage an easy workbench with sufficient spaces and arrangement for working and keeping all other tools. It will make you love your job. We will suggest you buy or build a solid wooden workbench. Shaping your wood takes some muscle power, apparently with the help of some hand planes like bench plane, smoothing plane and jointer planes. Someone who wants to develop and grow as a carpenter should emphasize using different quality hand planes in the right way. Who wants to end up making uneven furniture after a long hard-work on carpentry job? 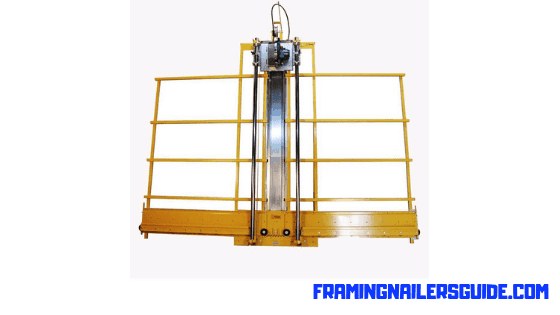 But, this may happen if you fail to take an accurate measurement as per your plan and drawings. So grasp the use of measuring and marking tools to finish your task perfectly. Find the best tape measure on Amazon. How a rough surface all over good furniture does looks? Not good! That’s why Bench Planes are the everyday workhorse for a woodworker. It is named that way because you have to work with it over a bench. Mastering a bench plane means, you now have a smooth piece of wood in your hand. But bench planes are more than just more fluid, it also does straighten the woods and remove a small uneven piece. 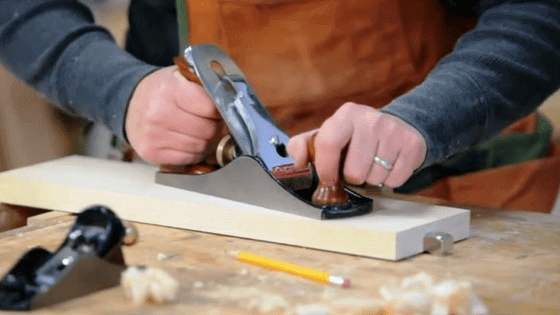 So, if you have a plan to give your work a glittering finish, a bench plane is something that is necessary. There are different types of chisels are available on the market in 2019. Chisels are different in size. That’s because it’s the premier cutting and carving tools for a woodworker. 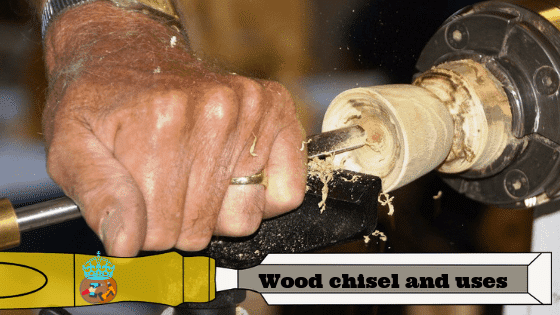 You can use it with your hand to cut or curve through a small or big piece of wood. You can also use it with a hammer for a deeper cut or curve. If you know how to use it, congratulations, you are on your way to becoming a pro! Find the top-quality woodworking chisels on Amazon. While Chisels are good for accurate cutting, can you do cut a big piece of wood with it? The answer is, no! But there’s someone who can do that, and we all know that is. You guessed it right, that is a hand saw. You can cut a big piece of wood with ease, with the help of a hand saw. It may not be the most precise, but it is quick, and you don’t need put much of your strength if you are using a hand saw. Our recommended hand saw on Amazon is SUIZAN Japanese Hand Saw. 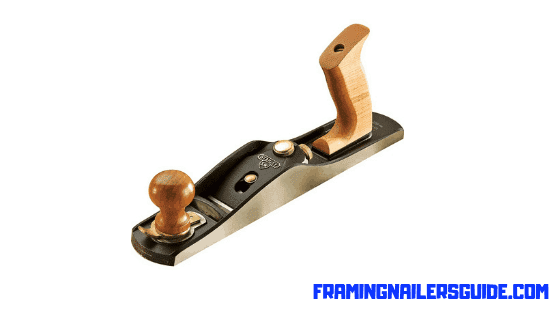 Are you looking for a straight cut into a piece of wood? Look no more, a suitable panel saw is the perfect solution for you. It usually has a smooth and beautiful tooth that is used to cut plywood, thin wood and also large joints. Pounding, tapping, or adjusting something these are something a woodworker has to do every day. Driving a nail, setting an iron, assembling furniture, or chopping a dovetail there is always a hammer or mallet for everything we mentioned. They come in different shapes and sizes, and you will need them for various works. 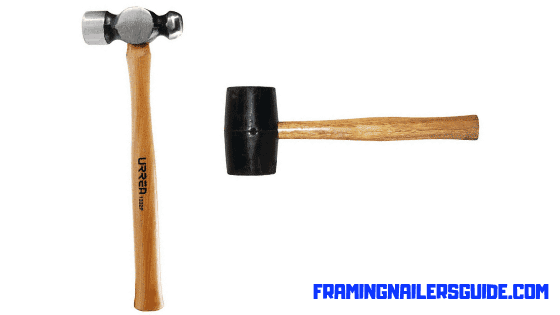 You need a specialized hammer for nail driving, another one just for setting an iron. Again, if you are assembling a small piece of wood, you will need a small mallet, while you will need a bigger one for bigger furniture. Bigger or smaller, you will need hammers and best-rated mallets for woodworking, which is something sure! Every woodworker needs to dig holes in their precious furniture. And, that’s why there are so many types of drills and braces available on the market. Though both drills and braces are used to dig holes into woods, drills are usually time-saving and more precise than the braces. Braces have different tasks too; they are usually used to dig holes where you can put a screw or nail. If you are a beginner woodworker, we suggest you buy both drills and braces to make things perfect. 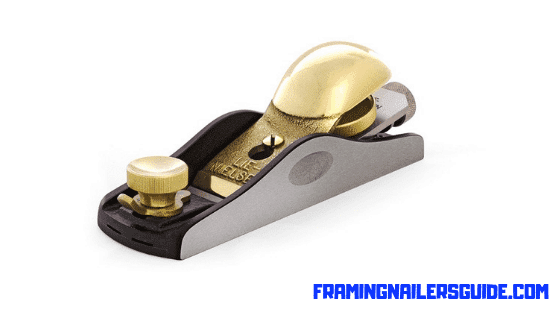 A block plane does many tasks that would be difficult or unsafe to perform with tools. Let’s assume you built a cabinet and hung the door. But the door binds a bit, and you don’t want to take the door off and work on it. That’s where a block plane comes in handy. Instead of taking the door off, mark the high spot and shove it off with the block plane. It’s as simple as that! Cordless or corded, a Power Drill is one of the necessary tools for a woodworker. 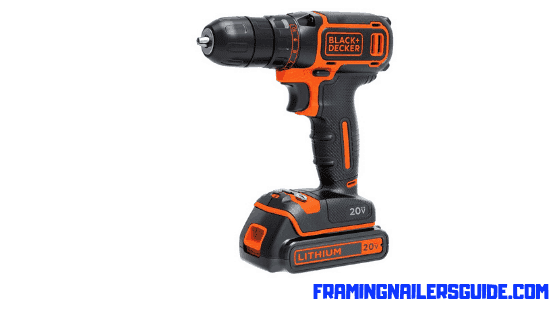 If you look for something that is handy and portable, you can opt for a cordless power drill. 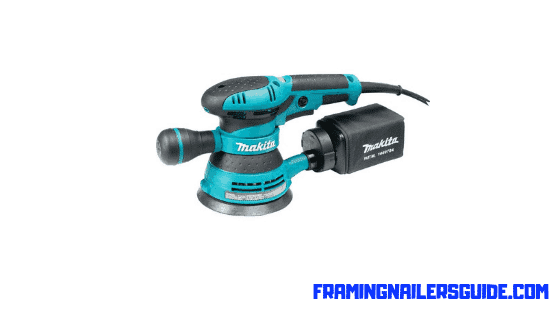 But our suggestion is that; use a quality corded power drill, as it gives you more reliability. The cordless drills are more expensive too! Till now, we have only featured mostly portable tools. But a table saw is something that we suggest you for the long run. After you complete your starting days of being a woodworker, you’ll realize some tasks are hard to achieve without this machine. It just serves a lot of functions. With the help of a top-rated table saw this, you can cut various sizes of wood more accurately and efficiently than ever! 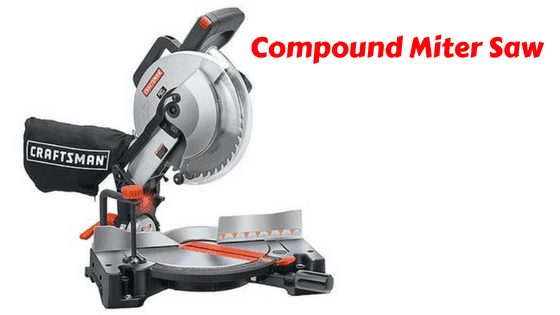 A compound miter saw comes in handy for cutting woods in compound angles like beveled, mitered and combination cuts. If you master how to use this particular tool, you may even use your circular saw less than you used to! 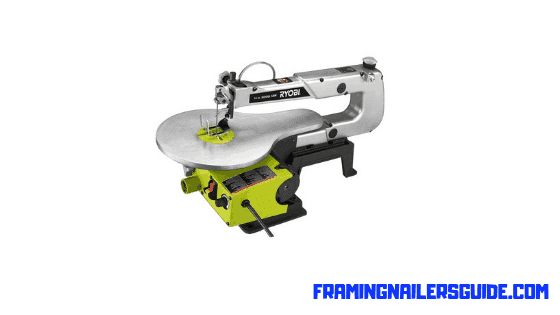 If you don’t know the differences between a table and miter saw, read this latest article. Let’s assume you don’t have space or money required to buy a table saw. 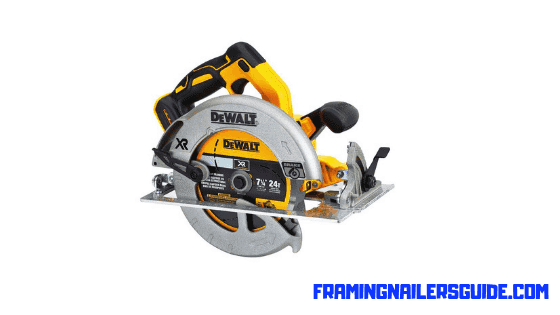 A quality circular saw maybe better suited for carpentry, but you can’t find another multi-dimensional tool for woodworking too! If you are looking to cut through plywood and fiberglass, you can do it with ease, with this particular tool. 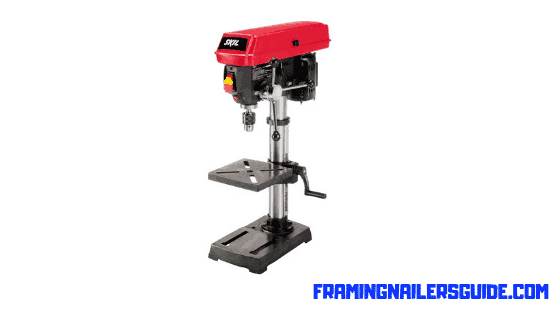 A power jointer is another long term buy if you are a committed woodworker. But if you need to flatten a bent or twisted wood, there’s no better tool to use than this. A good quality power jointer is valuable if you need to renovate home furniture or reuse damaged wood. However, keep in mind the budget as this tool will undoubtedly cost a lot! A wood router is one of the prime woodworking tools. You can do a variety of work with it like cutting a groove on wood, or making a clean finish, or shape a piece of wood. 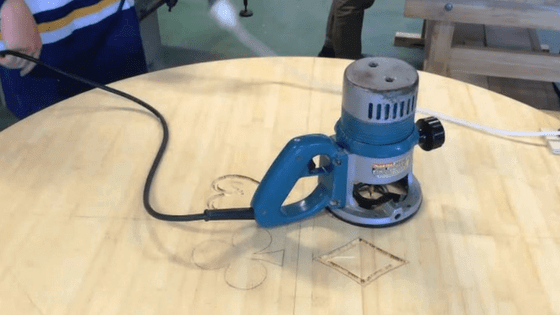 There are two types of wood router available on the market, a fixed-base router and a plunge-base router. Both needed for different cuts. Buy a plunge-base router on Amazon, only if you need to make plunge cuts. If you ask an experienced woodworker, you will get to know how vital a Jigsaw is. While a regular saw can make a straight cut, it doesn’t do well in a circular cut. 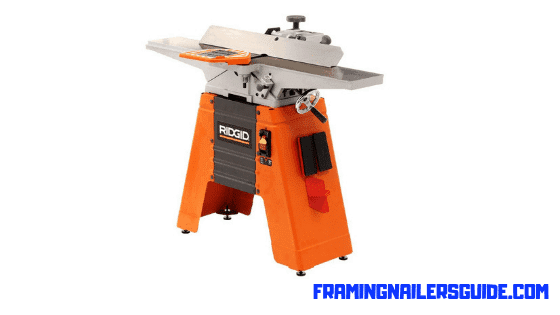 The only jigsaw can do that, which is why a jigsaw is one of the most essential tools that you will ever have to use in woodworking. 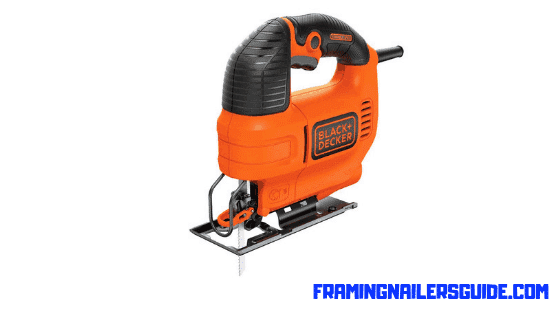 Our recommended jigsaw on Amazon is BLACK+DECKER BDEJS600C Smart Select Jig Saw. While you can do a lot of work using your power drill, some say it’s inefficient and tiring to use in some cases. Good drill presses like Wen drill press is the more stable and efficient version of a power drill. It’s powerful, and you can adjust the path and depth of the drill. It’s a tool for professional woodworkers who do a lot of drilling! There is no other good way to make your furniture look polished and smooth than using a decent Random Orbital Sander. Unlike the palm sanders, orbital sanders use a hook-and-loop system to fasten the sanding disks. These can be a bit more expensive than palm sanders, but it’s worth it for sure! We covered different types of saw in this article, but this one is the finest of them all regarding detail and accuracy. 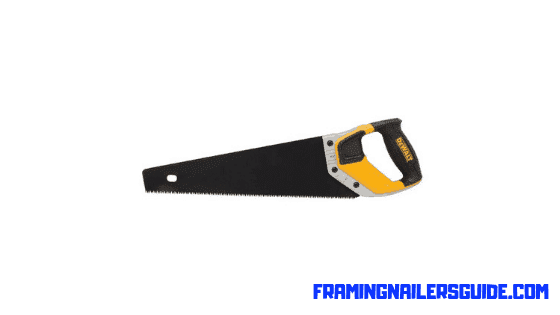 If you want a perfect cut, this particular saw will give you just the thing you need! It’s more precise than a jigsaw and straightforward to use. 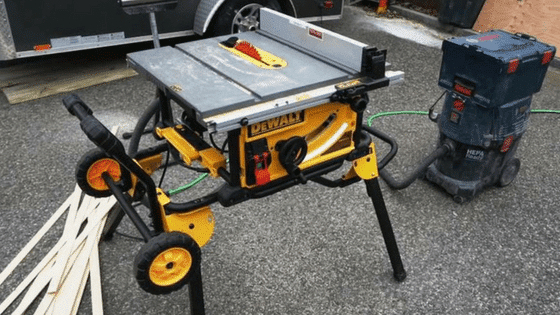 Our recommended best power scroll saw on Amazon is DEWALT DW788 1.3 Amp 20-Inch Variable-Speed Scroll Saw. 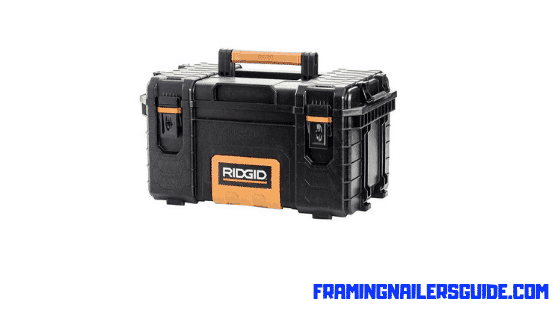 When you have all the tools that required for your job, you need another item to stay organized at your work – a suitable toolbox. Homak tool boxes are good choices for woodworking; its’ spacious interior will easily house all your tools in one place. 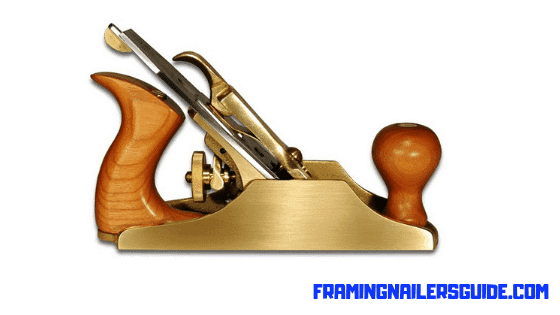 Woodworking tools are many, and they are distinct in their usage. So, you need to know the application of them to buy accordingly. In this must-have woodworking tools guide we hope, we could make your doubt clear on what tools needed for you. That’s all from us. Thank you for reading! Happy woodworking.